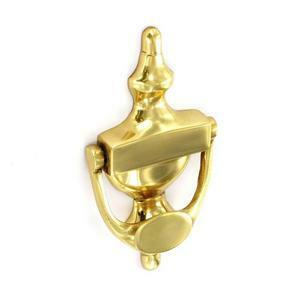 Door Knocker Victorian Urn is a classic look brass door knocker. It comes with through the door fixings for a secure fit. The door knocker measures 125mmx70mm, with pre-drilled fixing holes top and bottom 70mm apart.